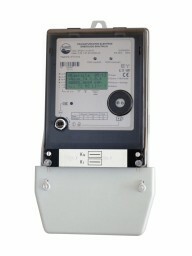 Electronic, new generation meter GAMA 100 is designed for measuring active energy in single-phase networks. 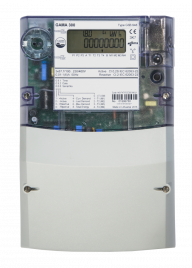 Meter may be simple, single-phase or sophisticated, multi-tariff with extended functionality. Meter can be provided with various optional features - including maximum demand measurement, possibility to connect meter to AMR system, extended anti-tamper capability, relay output. Meter complies to the new Technical regulations of Lithuanian measuring instruments as well as to the requirements of 2004/22/EC European Parliament directive. Transformer connection electricity meter G3G is recommended for operations in transformer substations, because meter measures not only active [kWh], reactive [kvarh] and apparent [kVAh] energies in both consumption and generation directions, but also stores the measurement data profiles (accounting, load and voltage profiles, event logs) and registers the qualitative electrical energy indicators. Voltage fluctuations, voltage harmonic distortion coefficient (THD), three-phase network disbalance and voltage flicker are registered in accordance with EN 61000-4-30 for Class B equipment. In addition, the meter estimates electricity losses both on the transmission line (I2t measurements) and in the power transformer (U2t measurements). Electricity meter interfaces (Ethernet, RS485, optical) support DLMS / COSEM communication protocol, therefore the G3G meter is compatible with equipment of other manufacturers and can work in the automated meter reading systems operating on TCP / IPv4 and HDLC communication networks. 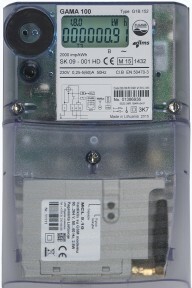 The meter is capable of communicating in encryption and authentication mode (AES-128, GCM), which ensures secure data exchange in a common system. 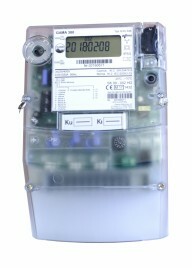 New generation three-phase electricity meter designed for industrial metering. With accuraccy class 0.2s, GAMA 300 measures active and reactive energy and may be single-tariff or multi-tariff. The EPQS meter is a multifunction device for measurement of electric energy in four-quadrants and is approved in accordance with IEC 62053-11, IEC 62053-22, IEC 62053-21, IEC 62053-23. 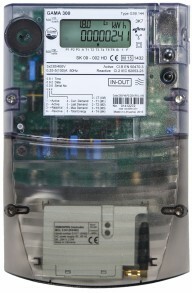 Meter operates in 3- or 4-wire networks and can be direct connection (accuracy class 1) or CT or CT/VT connection (accuracy class 0.2s or 0.5s). EPQS meter can be easily incorporated into AMR systems. It has power quality monitoring capabilities and is designed to meet the most ultimate demands from utilities and other clients.